O.K., so I was a little bit late in sending my mom a card with a pair of handmade earrings tucked inside for Mother's Day. I mailed the envelope on May 6th (a Tuesday) hoping it would get there by Mother's Day on Saturday. Not a chance. Not only didn't it get there within the week, it took two weeks and two days before it arrived. My parents live in Ontario and I'm in British Columbia. There are only three provinces sandwiched between us. You'd expect a letter would arrive within five days. I was hoping beyond hope that maybe the service would even improve after they raised the postal rates a little while ago. No way. While I'm complaining about services in Canada, I might as well add one of my major gripes here and now, and that is the cost of air travel. I don't know why American air travel is so much cheaper than ours, but it is. Oh, and fuel is way cheaper too. I like being a Canadian and I think we have lots of benefits here too, but once in awhile, like when my mom's card and earrings take two and a half weeks to travel only partway across the country, I get a little miffed. Then again, I've heard Americans complaining about their postal service too. Oh well, I know there are worse problems in the world than mail that moves at a turtle's pace. Now I know that I have to get that Mother's Day card in the mail a good month before the big day. By the way, I just found out that today is World Turtle Day. 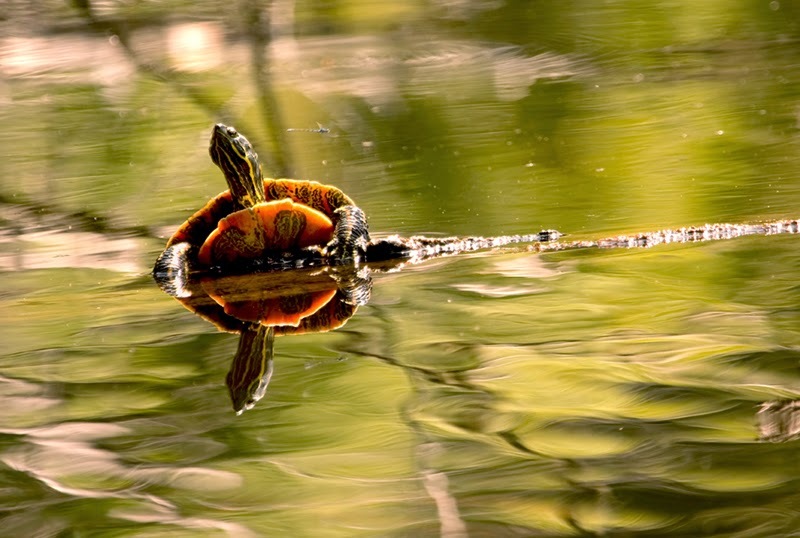 What a coincidence that I posted a photograph of a painted turtle. Happy WTD, take it slow!